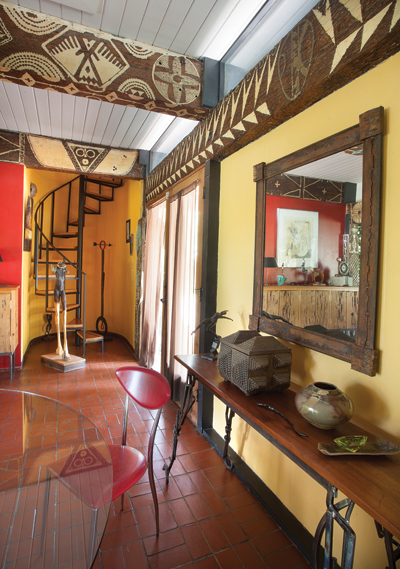 A Breaux Bridge home created by a Louisiana artist colony continues to inspire. 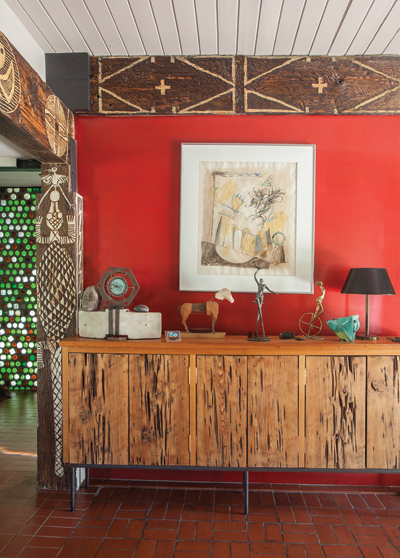 There is a palpable energy in the artful residence of renowned sculptor Russell Whiting and his entrepreneurial wife, Michelle Vallot. Known as the “bottle wall” house, it originally served as a gathering place for artists, professors and their students. 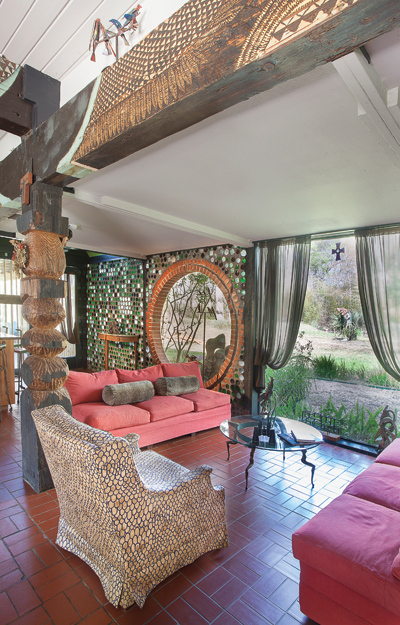 Visitors are always fascinated by the two picture windows that appear to be afloat in a whimsical wall made with glass bottles. It was assembled with the help of college students residing in nearby Lafayette. Built in the 1960s by landscape architect Russell Dupuis, who was a professor at ULL (known as University of Southwestern Louisiana at the time), it was one of the early "green" homes of the period. 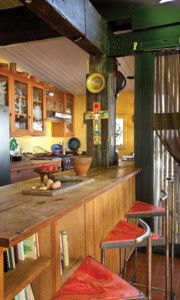 Located in a secluded woodland area on the outskirts of Breaux Bridge, the one-of-a-kind, handmade dwelling was created from salvaged materials. Notable artists designed, carved, painted and crafted the house so that it emerged into a working canvas. The late painters Robert Gordy and Elemore Morgan, totemic sculptor John Geldersma, painter and printmaker David Alpha and other Louisiana artists put their collective talents into the heart and soul of the residence. 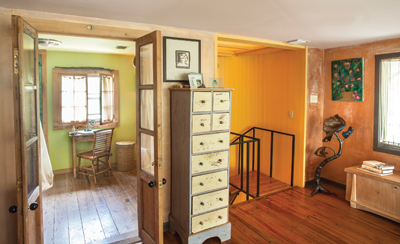 “It is an organic living space that necessarily evolves to adapt to nature and to satisfy our intrinsic artistic needs,” says Vallot, a passionate arts patron and savvy businesswoman who has been active in the Lafayette art scene for many years. Devoted to continuing the artistic legacy of the house, Vallot and Whiting enjoy their calling as keepers of the flame. They have added their own personal touches since Vallot purchased the home in 1989. “Something just happened to me after I peeked into the big windows for the first time,” she says. 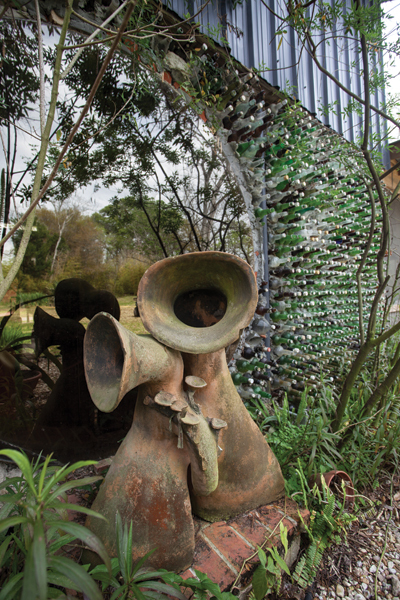 “I fell in love with it and knew that this house had to be preserved.” Their additions to the ever-evolving bottle wall house have included the creation of a contemporary veranda, a front-entrance fountain, a spacious outbuilding and studio and a glassed-in deck off the master suite. Standing on the upper deck on breezy summer evenings, one experiences the intoxicating fragrances of night-blooming jasmine and sweet olive as fireflies sparkle over the pond and foliage. 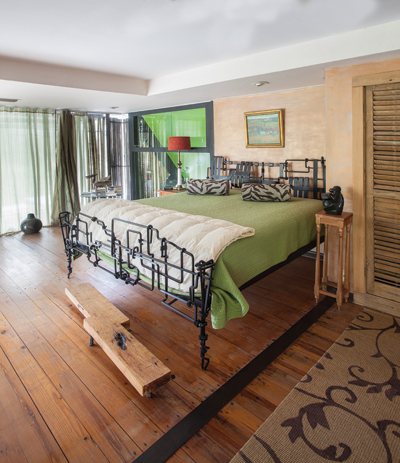 The couple’s property, bordered by unique varieties of bamboo, is spread out over 5 acres strewn with towering cypress trees. Whiting’s commanding carved steel sculptures in the house and around the grounds have added an intriguing, contemporary element to the compound. 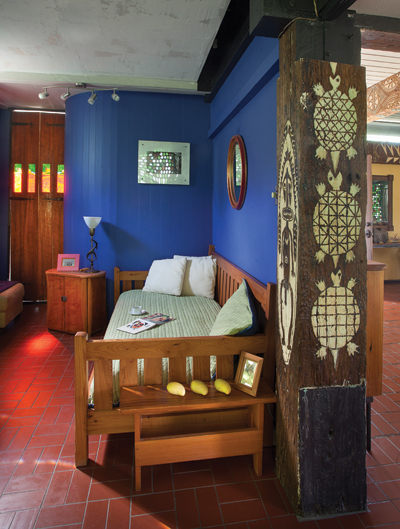 From the corn-and-skull carved posts by Morgan to the stained-glass works, unique carved beams, neo-expressionist paintings by Hunt Slonem and spiritual wall hangings by Geldersma, the house continues to inspire. Whiting created a sleek spiral staircase, handcrafted contemporary furniture and original cabinetry for the house, which has taken on a life of its own. Aside from sculpture, Whiting is also notable for his one-of-a-kind furniture. 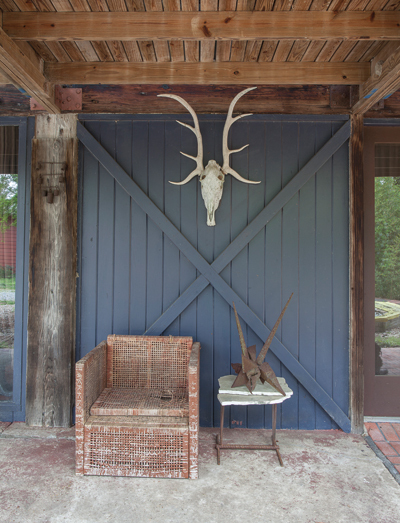 Whiting is known for pioneering the art of carving metal with a torch, a method he developed while working on oil rigs in the Gulf of Mexico, and his majestic figurative sculptures are in corporate and private collections around the world. 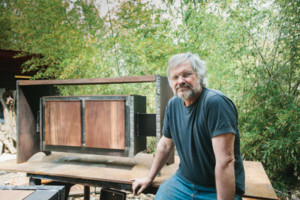 His work has been exhibited in galleries and museums throughout the U.S. Whiting’s large-scale Man Defeats Chair carved steel sculpture was recently erected on the corner of Poydras Street and Convention Center Boulevard in New Orleans as part of an outdoor exhibition curated jointly by Sculpture for New Orleans and the Ogden Museum of Southern Art. Vallot resigned from her law practice three years ago to become the founder and proprietor of Zydeco Foods LLC, which produces the original sweet potato Zydeco Bar. She recently introduced two new healthful bars this spring, a fruit-and-pecan bar and a pecan-brownie bar, while increasing national distribution. 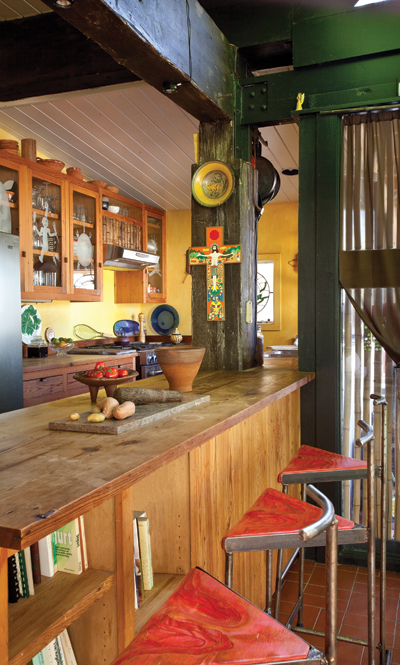 Both Vallot and Whiting are gifted cooks and enjoy hosting dinner parties. 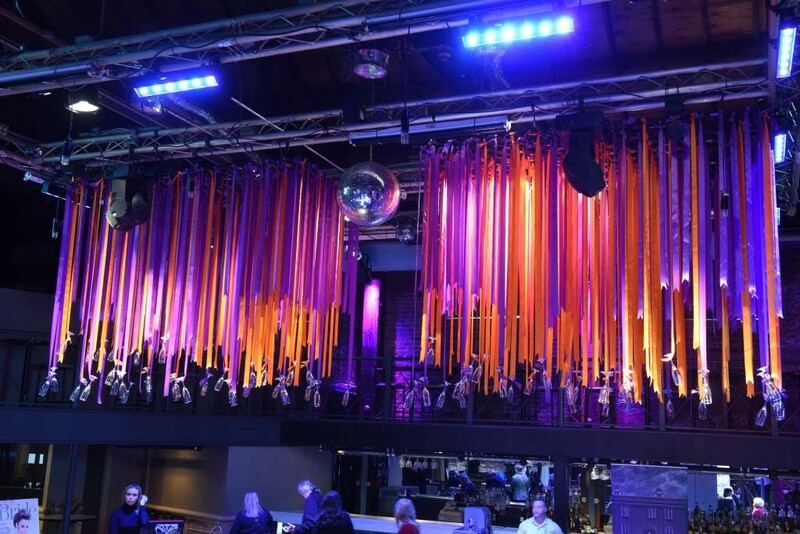 When I visited their home recently, Whiting was returning from St. Petersburg, Fla., where a lighting ceremony and concert had been held in his honor to commemorate the placement of his 12-foot-tall Soul Survivor sculpture in the city’s downtown corridor. Vallot was just getting in from Las Vegas. They were about to host yet another one of their famous cochon du lait soirées. The scent of logs flickering in the outdoor fire pit and pork roasting on a spit filled the air. 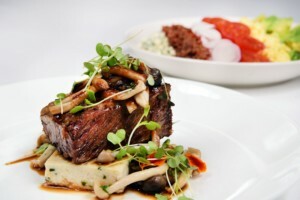 “We enjoy entertaining,” Vallot says while pouring wine into Whiting’s glass, as a dozen guests gathered around the outdoor fire on this sultry starlit night. Carefully tending the roast, Whiting ceremoniously raises his glass in a toast. 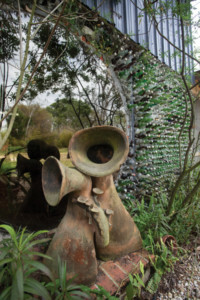 “I call this the bottle wall house of a thousand angles because no matter what direction you look, there is always some interesting feature or inspiration. 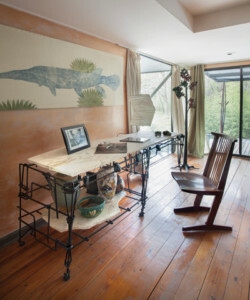 And with my studio being just a few steps away from the main house, I can go from idea to creation in just a flash."